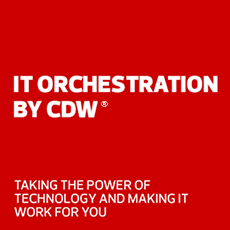 The trusted global leader in visual privacy and screen protection today, brought to you by CDW. For more than 30 years, 3M has been advancing optical technology to deliver market-leading visual privacy and protection products. We remain a trusted global leader today - continuing to improve our technology, features, and breadth of product. Learn how 3M's microlouver technology helps protect the sensitive data on your screen from visual hackers on either side of you. 3M privacy and protection products work simply and beautifully on most of today's monitors to help protect your screens, and help keep the information displayed on them private. You get crisp image clarity on your display, while visual hackers with side views are kept in the dark. For collaboration and sharing the screen, the robust framed privacy filters are easily removable. Perfect for visually securing your data while in the office. Any size screen, any brand - all the visual protection you need. Mobile work is on the rise - protect your screen while on the move. Take 3M's microlouver technology on the go and protect your data anywhere. Jack Vale shows how easy it is for strangers to steal your personal data just by looking. Instructions for how to choose the right 3M Privacy Filter size for your screen. 3M Privacy Filters stop visitors, contractors and even employees from stealing company data. Without visual protection, your data may as well be on display for everyone.